Day five saw us encounter the famous wine wall of Irache, which is literally a wine spigot on the side of a bodega wall along the trail. On how many trails do you encounter a spigot of free wine? Marvelous. Another beautiful day with some heat in the afternoon. 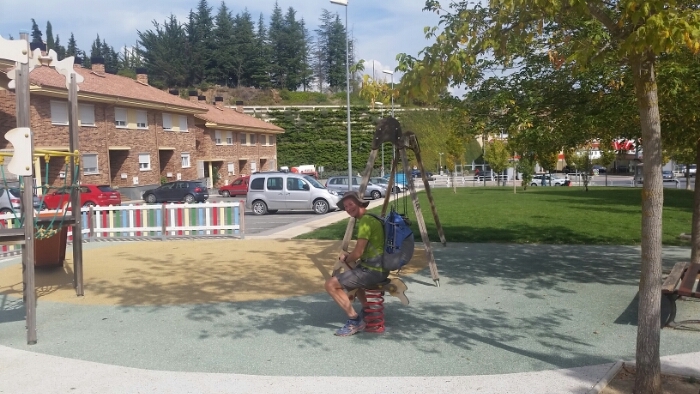 We stopped for the day in the town of Villamayor Monjardin. I met a South African woman who lives in Australia, and some of the “regulars” from previous days showed up. In our room there ended up 3 Italian women, two Germans who we had hiked with some: Heinrich and Gut (sp? ), and us. We passed a peaceful night together but the morning was right out of a sitcom. First, one of the Italian women decided to get up ridiculously early, about 5 am. She took long enough and made enough noise that finally the German brothers decided to get up. Then at some point another of the Italian women inadvertently turned the light on with her foot… in her sleep. Heinrich flipped it back off but then 2 minutes later she did it again. To top it off, our only communal place to eat breakfast was occupied by a sleeping body, probably trying to avoid snoring in their designated space. So, we ate in our room while the other two Italian women continued to sleep. I’m sure they thought that we were terribly inconsiderate. Fortunately most Albergue interactions are much more positive. We hiked with Heinrich and Gut for several miles, many in the dark and most in some substantial rain. This was fun for me as there was no temptation to speak English: they live in Ulm today, but grew up in Silesia, i.e. Poland. It was apparently not a lot of fun for Germans to grow up in post-war Poland (go figure) but at any rate they don’t speak English. 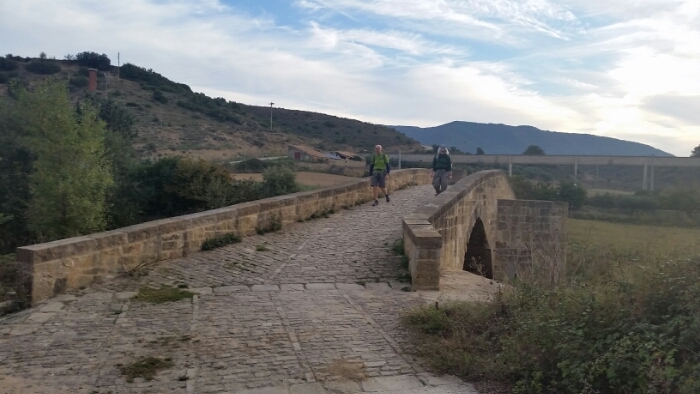 We ended up hiking 31 km today, about 19 miles, sleeping our 6th night in an Albergue in the town of Vaina. The rain eventually stopped and we took just one break, for breakfast, so we got into town about 1 pm. Then an hour or two later, Heinrich and Gut got the last 2 beds in our 8-person room. Two others are taken by a couple from Bellingham (in my state, to the north). 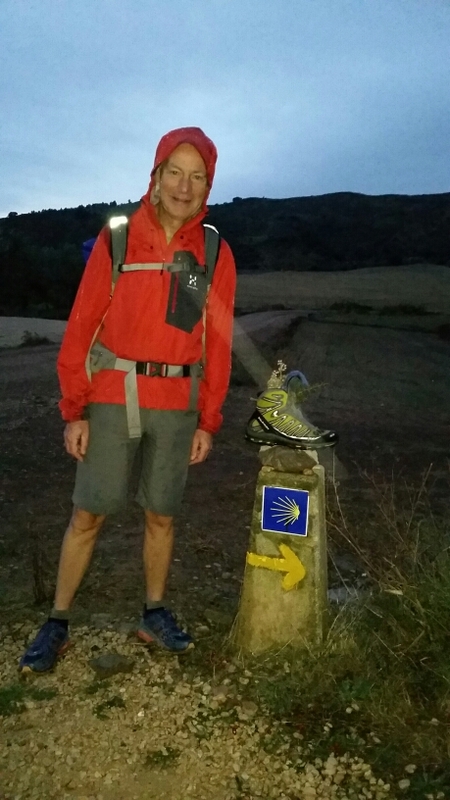 Milky has a friend he has arranged to meet in Logrono tomorrow, so, at just six miles, we’ll have an easy day. This will be good, my body can use the rest.